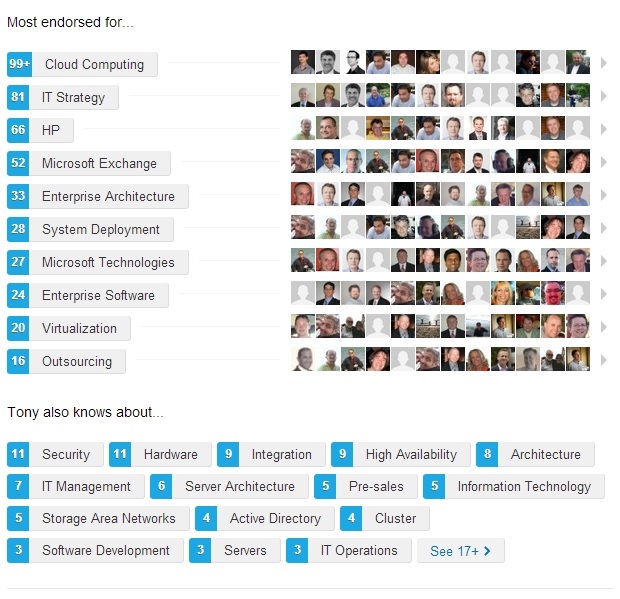 Allow me to pose a simple question: what value does anyone get from the endorsements lovingly gathered and displayed (with no little amount of pride) by LinkedIn? I ask myself this in light of some of the endorsements given to me. But I’m sure that the same question has occurred to you too. I don’t want to seem ungrateful. It is very nice that someone would take the time to indicate my capabilities to all and sundry when prompted to do so by LinkedIn. And it is indeed wonderful, if not a little scary, to observe just how many endorsements that you can gain over a short period – some in the most surprising areas and certainly not in areas that I consider myself to have much expertise. Take virtualization for instance. I certainly have a passing acquaintance with VMware and have run virtual Windows servers using VMware workstation for many years. I even have used Hyper-V, but not as much as VMware. I can say that I have sworn liberally at both hypervisors and have had to rebuild servers when virtual machines go bad – probably too many times for me to claim any competence in the area. Yet 20 of my esteemed contacts (at the last count) have seen fit to endorse me for possessing some skill in Virtualization. It’s true that no value is attached to each endorsement and the sheer count does not tell anyone who browses my profile whether I can barely spell the word or if I possess enormous insight into how hypervisors function. I can certainly talk about the topic and imagine that this is where many of the endorsements have originated. Hardly a way to find a true expert. You can see that four of my contacts have endorsed me for “Cluster”. This is such an ambiguous term. Does it refer to my ability when working with VAX or VMS cluster technology, I wonder? Or the current Windows cluster technology? Or even a cluster of mushrooms. There is nothing to tell the reader what this term means. Another issue is that the more LinkedIn contacts you have, the more endorsements you will collect. Think about it. If you have 100 contacts and I have 1,000, then ten times as many LinkedIn users will be invited to endorse me than you. The chances are that I will end up with ten times as many endorsements, and while some of those endorsements will be random, I will have a much more impressive profile. I think these problems illustrate the problem faced by both LinkedIn and its users. On the one hand, LinkedIn wants to find methods that add value to its users. Allowing people to endorse each other so that others would gain some insight into the skills and competence possessed by an individual seems like a very good idea. And so it is, if the endorsements were higher quality. An endorsement given at the drop of a hat (or in this case, at the click of a mouse) requires little thought on the part of the endorser. 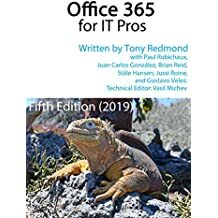 The endorsee is happy to accept the endorsement, but the reader who eventually looks at the collection of endorsements held by a LinkedIn user gains little value from the set. They do not know the competence of those who have endorsed the person; they do not know the basis upon which the endorsement has been given; nor do they know the standard by which the endorser measured the skills of the endorsee. In short, it’s a real mess and the resulting collection of endorsements is as much value as a set of plastic models collected from cereal packets. Don’t get me wrong. I have no doubt that there are some people who never give an endorsement unless they have hard evidence that their recommendation is well deserved. However, my impression is that these folks are few and far between and anyway, no visible difference appears between an endorsement given on a whim and one given after long contemplation and reflection. My conclusion therefore is that LinkedIn provides a service that some might find useful in terms of assessing the overall set of interests of an individual but not one that works if you are searching for leadership in any particular space. Please do continue to endorse me if you like (I can’t stop you anyway) if it pleases you. I shall not be endorsing anyone until the system improves so that a real qualitative assessment can be provided by means of an endorsement. That’s a terribly difficult challenge to achieve. I think I shall be waiting for some time. This entry was posted in Technology and tagged LinkedIn. Bookmark the permalink. In linkedin.com I have found very good Exchange groups such as these & I have found these groups helpful. I have no problems with the LinkedIn groups as they can be quite valuable. The only issue I have noted is that some participants tend to try and use the groups to publicize their activities (and sell business) in a pretty overt manner. But this happens in most public fora, so I accept it.